The Tropics are Heating Up :: RickeyStokesNews.com! 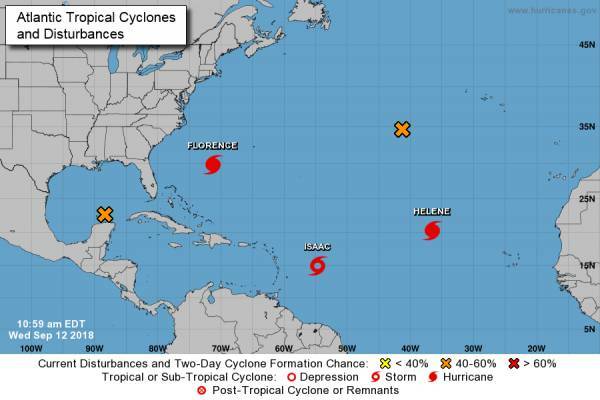 We now have two hurricanes, one tropical storm and two others the National Hurricane Center is watching. The worst one being Hurricane Florence that is heading directly towards the Carolinas. According to the reports this is a large and dangerous storm that will affect 5 million people or more.